"Fast and efficient - very simple to do"
"Exactly as seen and described." 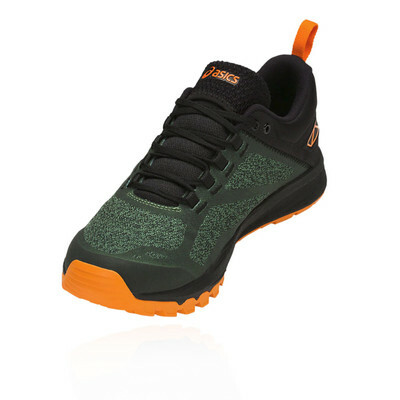 Protective mesh uppers will encase each foot in breathable comfort. Perforations in the fabric increase airflow to create a better, healthier environment for your feet to thrive in. ASICS integrate their Lace Garage, a convenient pocket, so that your laces can be tucked in and unexposed, plus a gusseted tongue repels kicked-up dirt and debris. 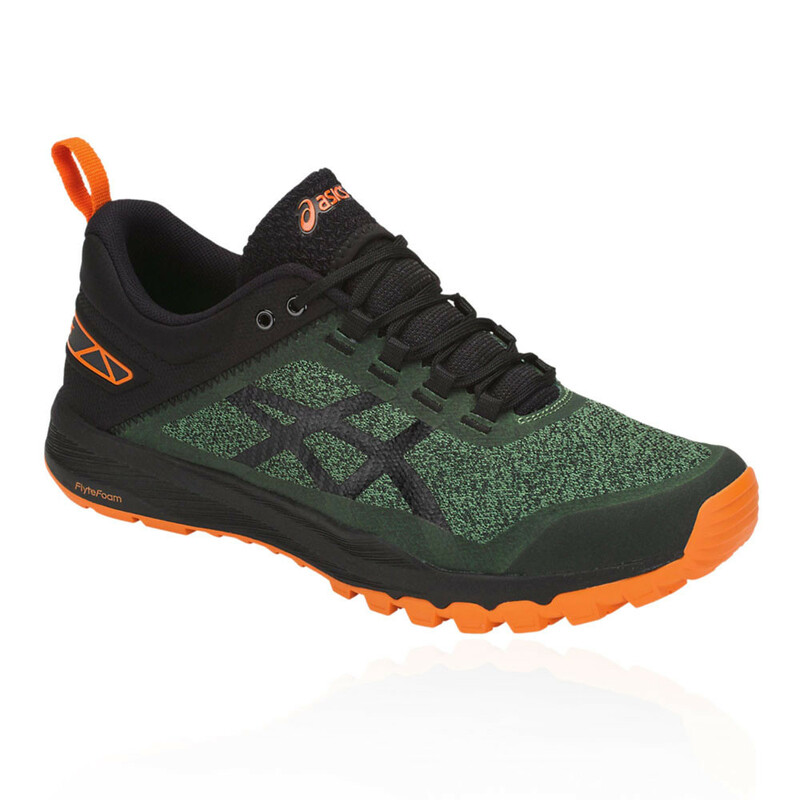 A protective bumper covers the toes, reinforcing the Gecko XT's trail-worthy state by defending you against roots, rocks and other general hazards. Reflective details complete the upper, increasing your visibility to passing vehicles and keeping you safe on those low-light adventures. A moulded EVA sockliner lies atop a lightweight midsole to supply an extra layer of anatomical comfort. SpEVAFoam 45 Lasting material sits beneath to supply step-in softness; its added cushion produces a plush feel and improved comfort, sparing your joints as you strike down onto hard, unpredictable terrain. Next, ASICS add their ace card in lightweight cushioning: FlyteFoam. 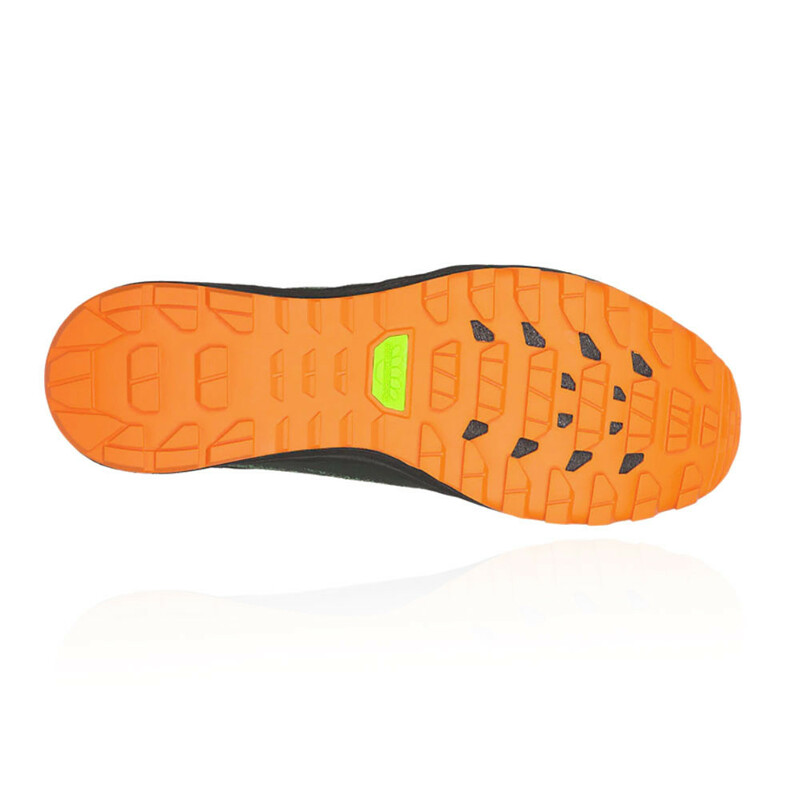 A generous helping of protection, bounce and comfort, it sits under the lateral heel to provide you with unmatched shock absorption and a lively ride. FlyteFoam is the lightest cushioning material ASICS has ever made, 55% lighter than the industry standard, EVA, and it buffers against the ground to protect you from unnecessary stress and fatigue. Its reinforced, organic fibres let the material bounce back to its original shape after every run; so you can train harder, more frequently, for longer, without the worry that your shoes might not be able to take it. A forefoot rock plate saves you from stone bruises and jagged ground, so you can leap, land and navigate tricky trails without worry, and GeckoTrac, ASICS' proprietary rubber outsole, delivers excellent traction and durability across wet, slippy terrain. 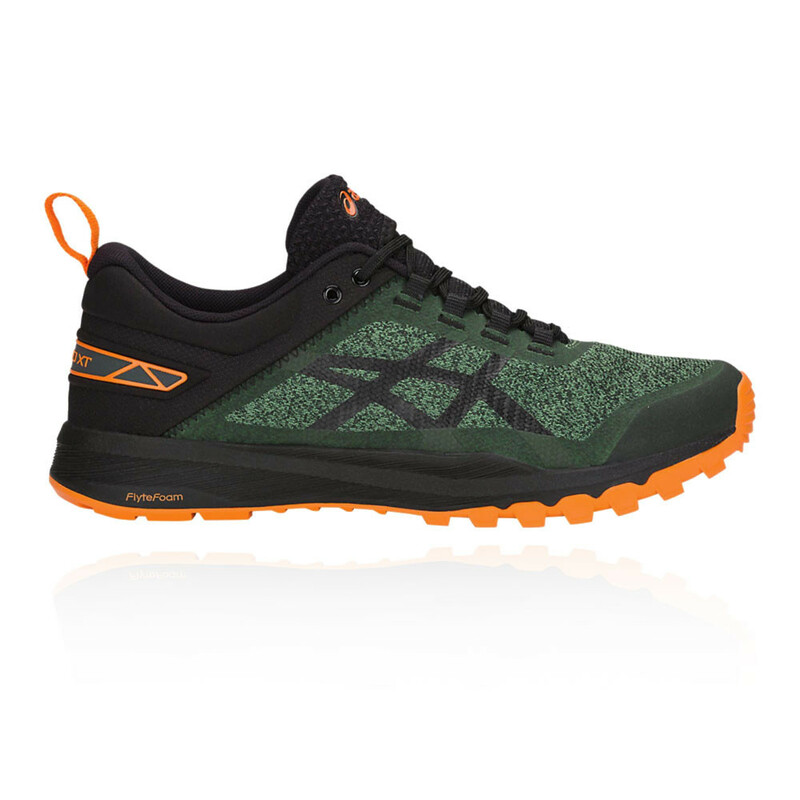 The GECKO XT has been designed for mid-distance seasoned runners and beginners alike, and is a neutral-to-slight-overpronation shoe with a 6 mm heel drop. 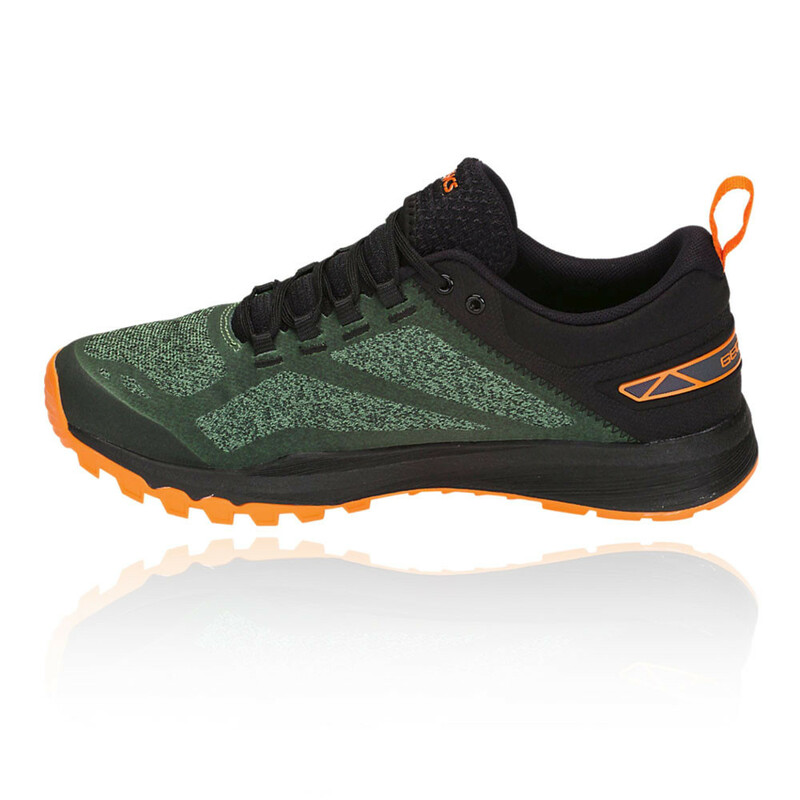 Offering a rich combo of modern tech and practicality, these trail running shoes will provide you with the confidence you need in order to take on any trail that lies ahead. Lace Garage - A pocket to tuck your laces into. Gusseted tongue - For a secure, debris-free fit. Protective toe bumper - Defends your feet against roots, rocks and general trail hazards. Moulded EVA sockliner - An extra layer of anatomical comfort. SpEVAFoam 45 Lasting - For a soft feel and improved comfort. FlyteFoam technology - Super-light and resilient cushioning. Forefoot rock plate - Guards against stone bruises. 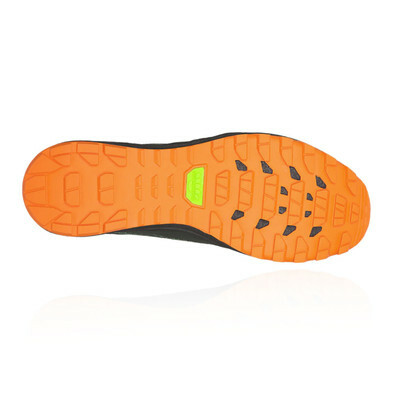 GeckoTrac outsole - Delivers excellent traction and durability across wet, slippy terrain.